The Expo is always busy and exciting! 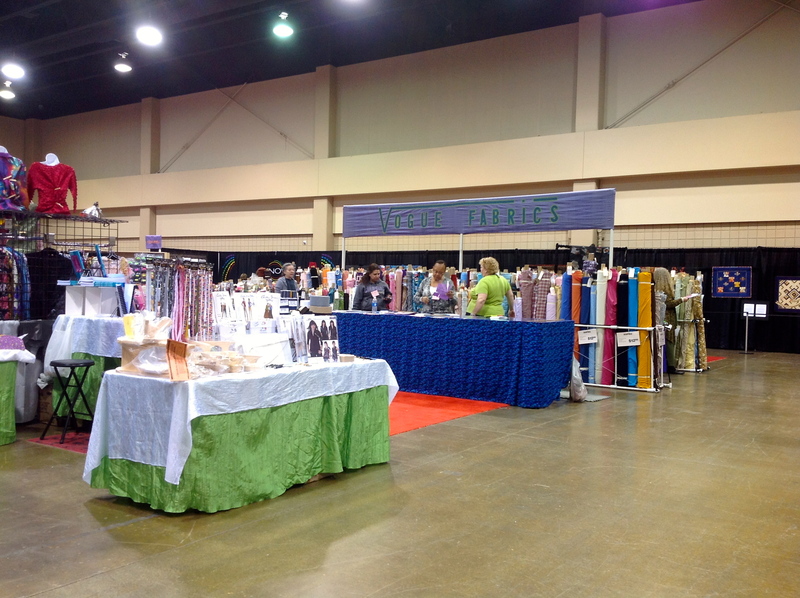 This year’s annual Sewing Expo has wrapped up, and I’ve been back home for nearly two weeks, working on ideas that I took away from that awesome few days. 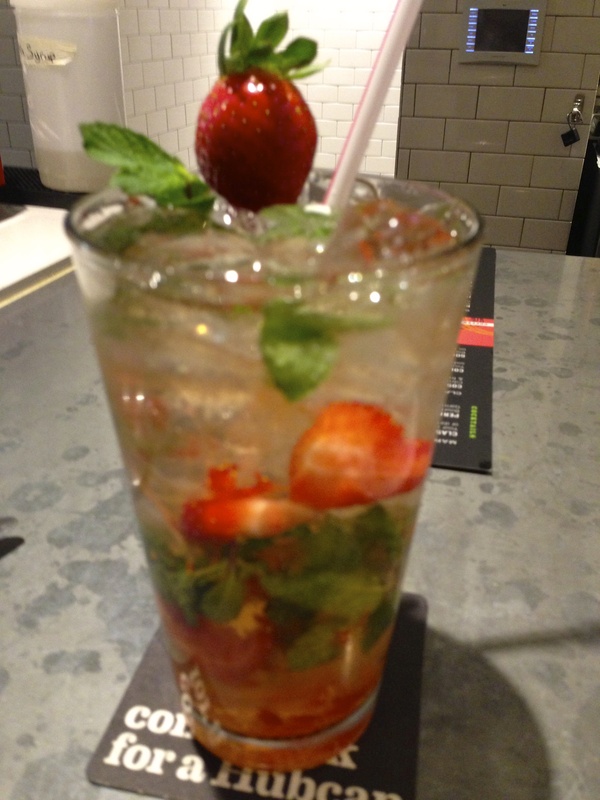 I meant to blog each evening while I was in Atlanta, but that didn’t happen. My phone crashed, and though I did take a couple of pictures that day with my iPad, I found it hard to use without laughing. There was just something funny about holding up my iPad like a camera. And the internet connection was frustratingly slow. Then once I got home, I was too busy sewing to type. But this morning seems a good time to sit and do a little reflection. Karen joined me Thursday evening, and the first thing we did was find an Apple store to get some help with my phone. The store was located in the Mall of Georgia, which was about ten minutes north of us. We were starving for supper, so we took the shortest tour of that iconic mall in the history of shopping. Phone was fixed, but that didn’t solve the problem of slow internet. So we watched American Idol and Shark Tank rather than blog in the evenings. They didn’t get the channel with Project Runway. Probably didn’t have room with all of the ESPN channels; I think I counted fourteen. Karen and I took several classes that were informative and interesting. After spending all day with Cynthia Guffy the day before the Expo began (see previous post), I still signed up for a couple of other short classes with her. My favorite was the one on shirt construction. I love to make men’s shirts. But that flat-felled seam finish in the arm and side seams just kill me every time I try to get it just right. And if you don’t get it just right, it looks very homemade. For some reason, men don’t like that. I’ve even tried to research industrial techniques and special machines for those seams, but I have not been able to figure out how they do it. When Cynthia passed around her shirt, I saw beautiful flat-felled seams. My hand went up. 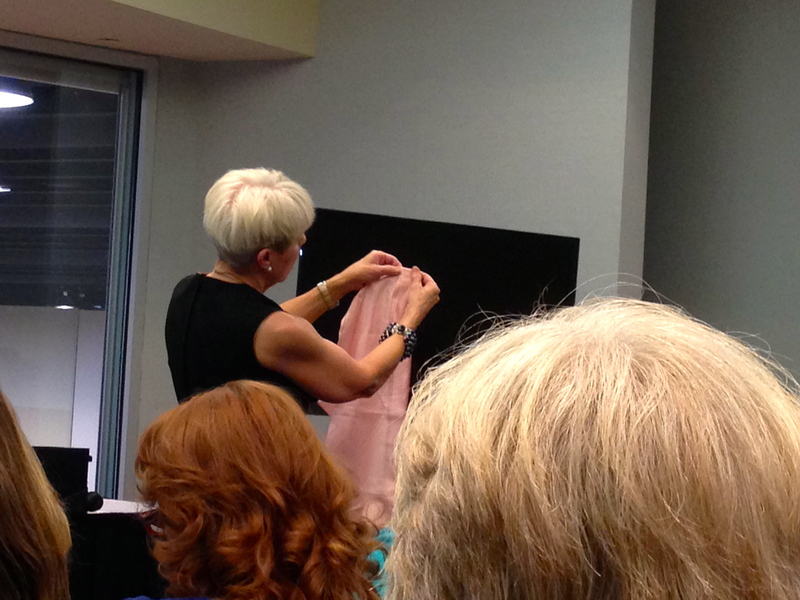 “How do you do your flat-felled seams?” Cynthia’s dry humor is a given. “I’ll tell you. First thing you do, you take out your flat-felled foot attachment. Then you throw it away.” Well, there’s my first mistake. I really wanted that thing to work! 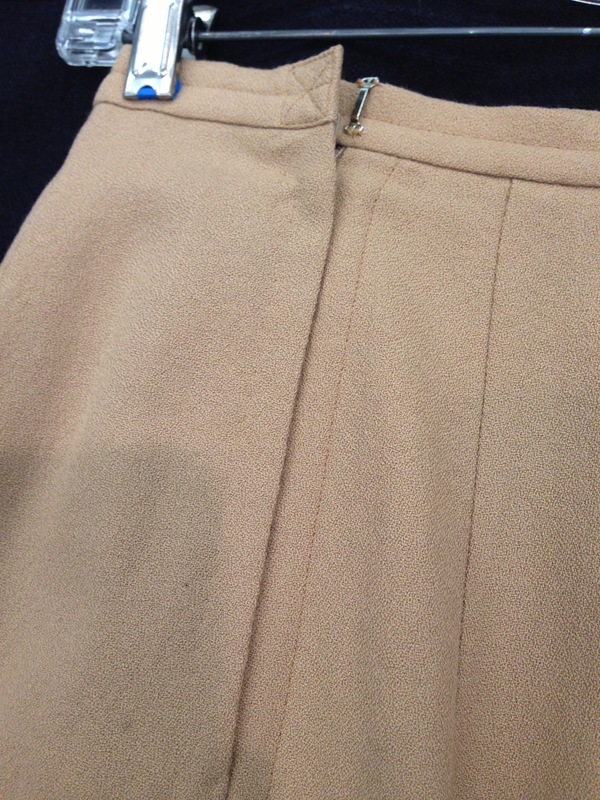 Cynthia’s beautiful seams, as it turns out, are finished haute couture style, with an invisible hand stitch. Darn. I was really hoping for something fast and easy. I should have known better. This is Cynthia Guffy, crowned Queen of Sewing Perfection. I also took a couple of classes from Louise Cutting. I recently used one of her patterns that I had purchased at last year’s expo, and I really loved it. Her directions are clear and concise, and her Helpful Hints are really useful. She uses lots of Steam-A-Seam strips in her construction techniques. I had never used it, but really found it helpful for pocket placement and other applications. I’ve used it since then with other projects. I met a new pattern designer this year named Linda Lee. She is the founder the The Sewing Workshop which offers a unique collection of patterns. I bought a couple of them, and can’t wait to try them out. My introduction to Linda’s work came in a class she offered which featured a pattern called Ann’s Cardigan and Tank. She presented us with a myriad of options that showed the versatility of this pattern. I have lots of ideas floating around in my head for this one! The class I probably should have stayed away from was one called “Notions Commotion.” I know. The class names are planned for capturing the hearts of sewing nerds, and it works. 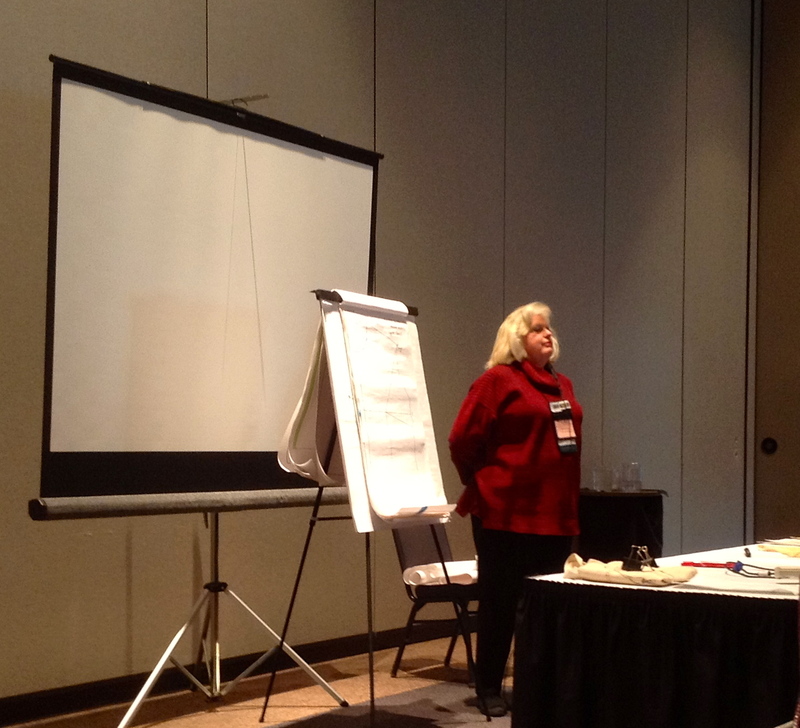 This particular class was one that presented notions and tools from all of the expo vendor booths. I took all kinds of notes, and then proceeded to go shopping as soon as class dismissed. I looked like a flittering magpie gathering shiny things. I bought some funny-looking items that I have already forgotten how to use. But that’s what Google and You Tube are for. I bought fabric at three different booths. 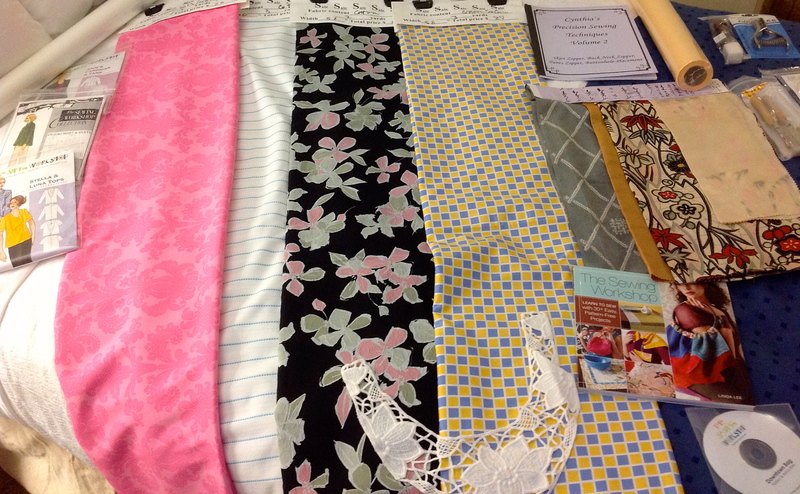 Vogue Fabrics always brings in lots of fabric, notions, and trims to choose from. They had a lot less to load back on the truck, thanks in large part to me. Karen helped a little. We also both bought some shirting fabrics from The Wool House. This place usually gets me in trouble, but this year I was pretty disciplined. And in Louise Cutting’s booth, I bought about half of the fabric she had hanging in the “end bolts” section, which were priced so well they were calling my name. And my credit card. From a fellow classmate in one of my classes, I found out about Spoonflower, a company that will print original designs on fabric. And they don’t require you to buy a tractor trailer load of the fabric. You can buy any amount. They offer cotton or organic cotton in several weights and weaves, silk, and a silk/cotton blend. You can also buy the creations of other fabric designers on their website. My daughter Shelley is the resident artist around here, and she has promised to show me how to use those scary Adobe software programs so I can produce original fabric. Or maybe I’ll just let her design fabric for me to use. Either way, we are doing this! I came away with so many ideas that I have decided to reopen my Etsy store to offer sewing kits that include some wonderful two-sided woven cotton and original patterns for creating skirts and dresses for little girls. I have the samples done, and am working on the patterns and instructions. I will also be offering some original skirts for young women in really cute fabric. Much to do, so I’m heading back to the sewing studio. But stay tuned! 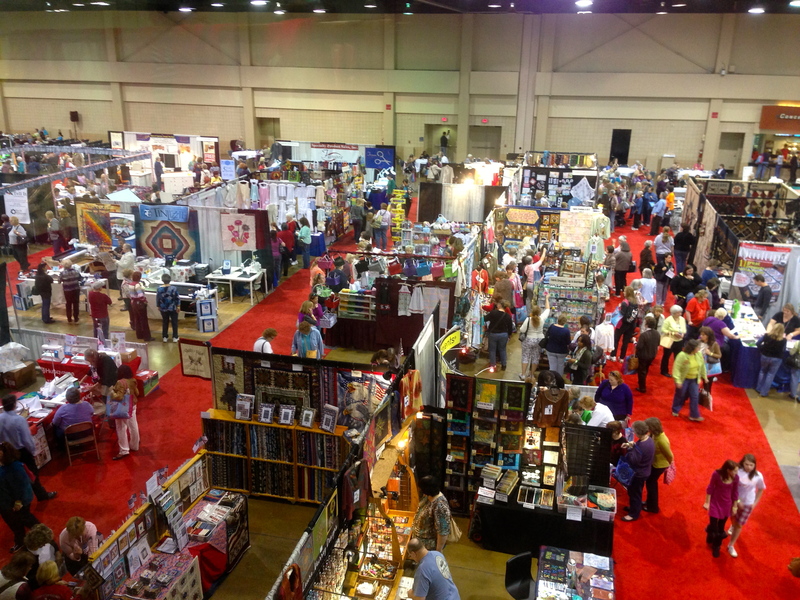 Tomorrow is the start of the 2013 Original Sewing and Quilting Expo, and I can’t wait! 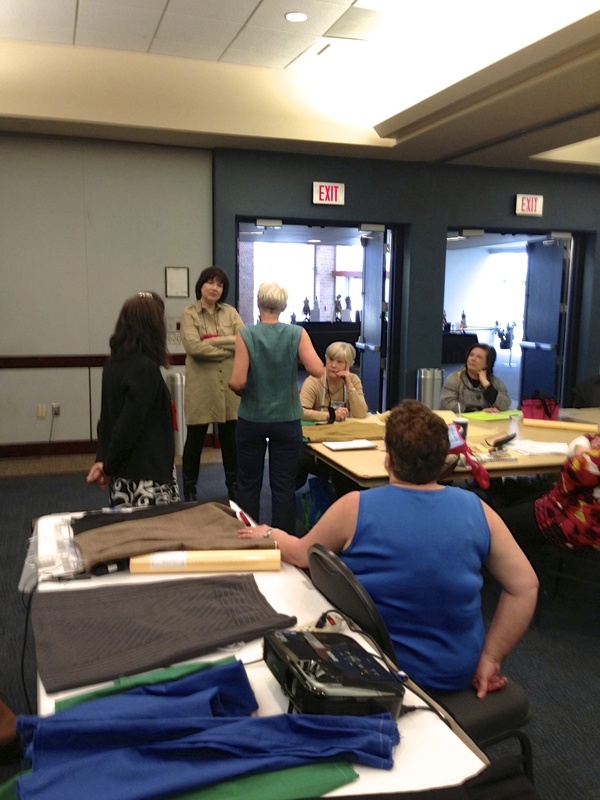 In fact, I got a jumpstart by signing up for Cynthia Guffy’s skirt-fitting class that was held today, and it was so much fun! If you have never taken a class with Cynthia, you owe it to yourself. If she is ever in your area, don’t miss her. 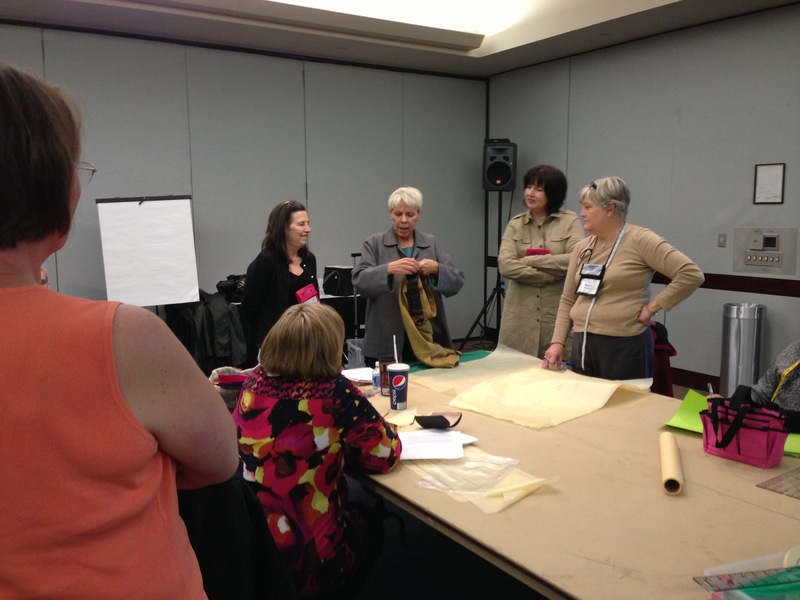 Her energy and anecdotes are a bonus to her hands-on and informative classes. Cynthia is a designer and independent pattern maker whose exquisite design details are immensely inspiring. Every time I have seen her, she is wearing something she made, and the fit and design is classy, innovative, and inspiring. 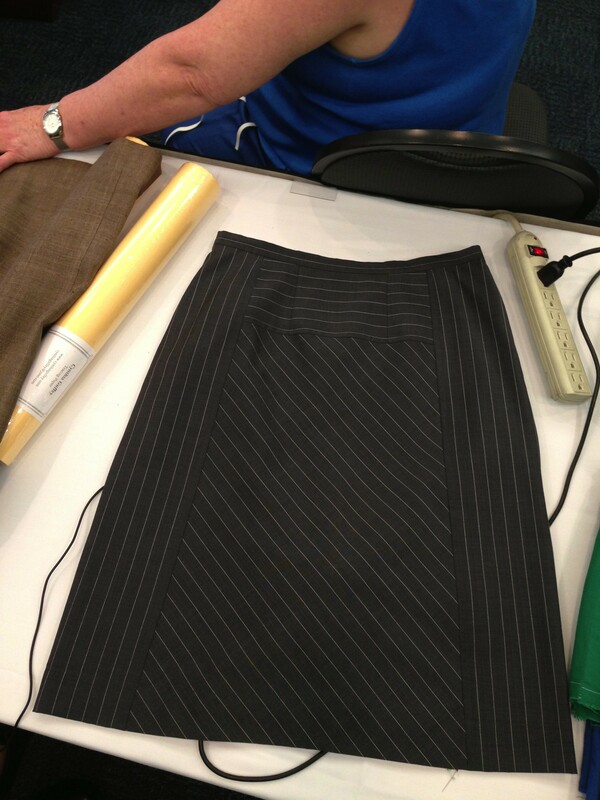 I can’t wait to get home and make my skirt! Today’s class was so much fun. 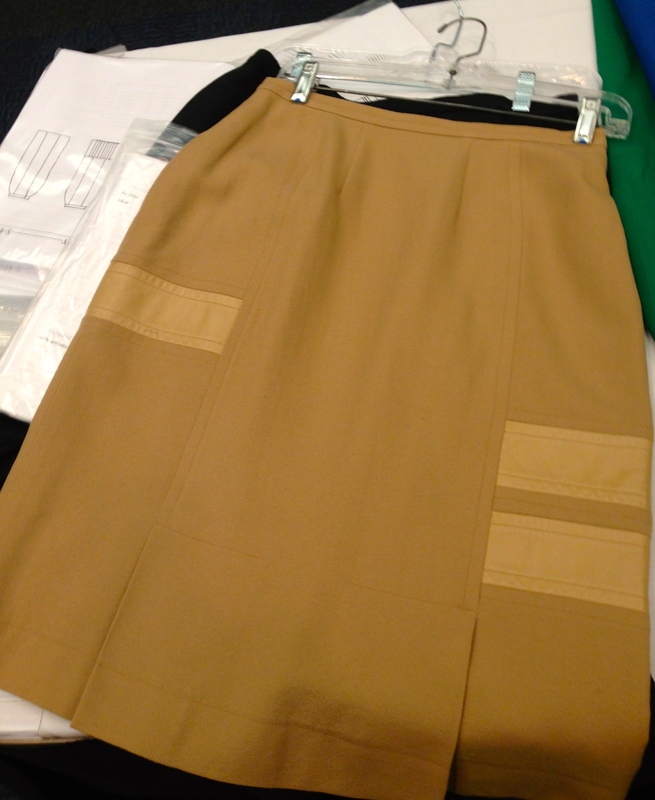 Not only did I come away with a well-fitting master skirt pattern, but I was also able to watch her fit a variety of body types, solving all kinds of issues. Since Karen and I want to offer garment fitting courses in our studio at some time in the future, this was absolutely perfect. I took lots of notes! On top of everything else, my fitting partner was Carla Powell from Roswell, and I was so excited to learn that she is also a sewing instructor! 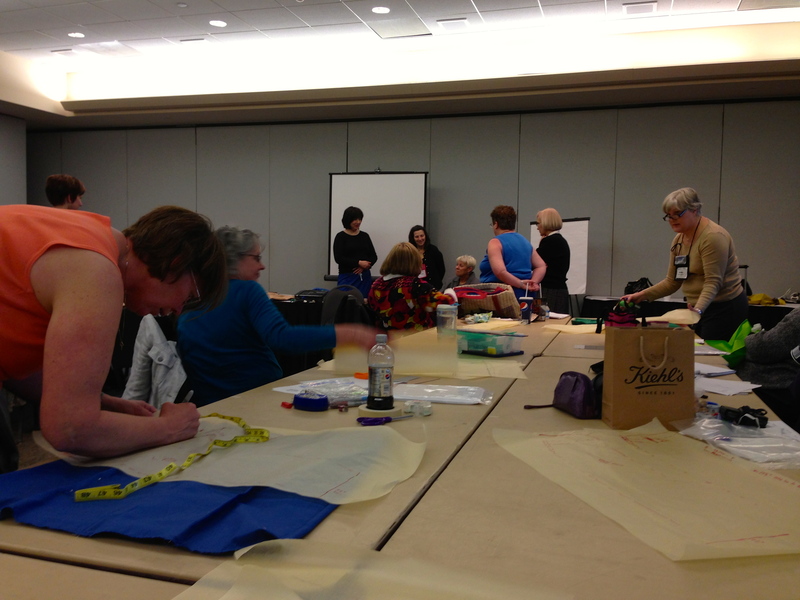 Carla offers classes at her studio called Stitch Pretty. She offers a variety of classes that sound very interesting, so if you live in the Atlanta area and want to take some quality classes, look her up at stitchpretty.com. I’m going to bed early, so I’ll be ready when the doors open in the morning. I’ll be posting pictures and stories from each day, so stay tuned! This Cynthia Guffy design features contrasting piping or Guffy seams down one side. This vertical line elongates the body in a flattering way. 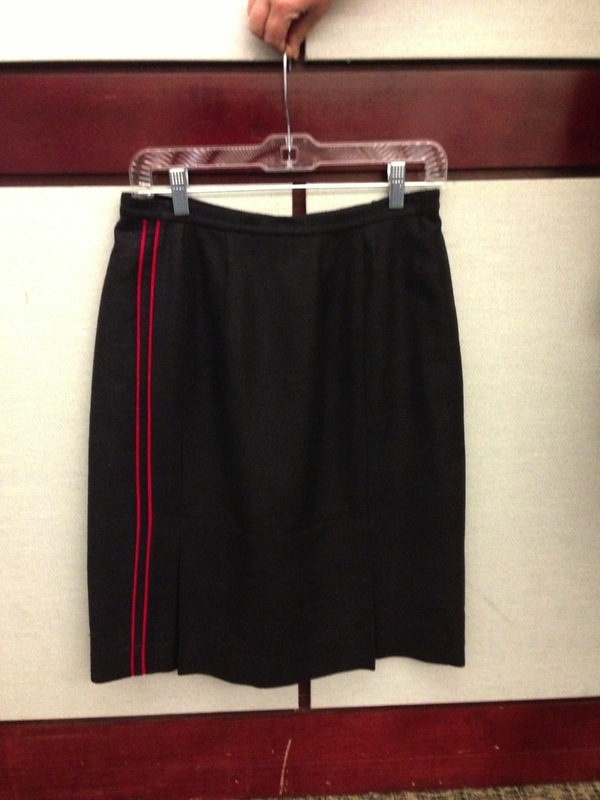 This Cynthia Guffy design features a front insert cut on the bias which gives the skirt an A-line.